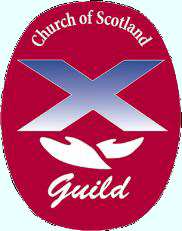 St Andrew’s Guild is held on Mondays from October to March in the small hall, Fountain Road Church Hall. An open invitation is extended to anyone who wishes to join us at our meetings, transport can be arranged if required. Mr Danny Muschate on work of Blythswood. Rev. Derek Brown on his chaplaincy work at Raigmore Hospital. Invite from Dornoch Guild at 2.30 p.m. In Dornoch Cathedral for Songs of Praise. Christmas Evening taking the form of 9 Lessons and Carols. Rev. J Sterrett, slides on visit to India. Mrs Daniella Colquhoun – Stain Glass. Guild visit to Oversteps at 3.00 p.m.
Guild to bring baking please. Bible Study with Mrs A Barclay. Rev. Eric Paterson – Slideshow: River Brora – Sea to Source. 7.30 p.m. – Gareth Dixon on Medication Use. Wednesday 22 April – 7.30 p.m.
AGM will precede this rally at 7.00 p.m. Sketch + Scripture Cake Quiz. Please bring a Bible. Evening with Tear Craft. Made in Tain – Heidi on Skin Care. Guild Week – Songs of Praise, Fountain Road Church Hall. Invite from Dornoch Guild to join them in the West Church Hall, Dornoch. Guild Christmas Evening – Christingle. Rev. Susan Brown – Out of Africa into Malta. Guild visit to Oversteps, Dornoch. Short “sing song” followed by tea at 4.30 pm. Bible Study with Rev. Bible Study with Rev. J Sterrett. Please bring a bible. St Andrew’s Guild held their World Day Of Prayer meeting in Fountain Road Hall on Friday 7 March. The group was small, but the fellowship was good. The Title of the Service was “Streams in the Desert” and it was written by Christian women in Egypt and was based on the meeting between Jesus and the Samaritan woman at the well. The women of Egypt asked that we pray especially for them and all women as they are the first to suffer when the economic situation is bad. A large portion of the money raised for World Day of Prayer this year will go to Christian Organisations with projects in Egypt and to Christian groups assisting people affected by human trafficking. Through World Day of Prayer, we affirm that prayer and action are inseparable and both have immeasurable influence in the world. World Day of Prayer 2015 is 6th March. Margaret Morrison – Visit to Malawi. 7 pm AGM followed at 7.30 pm by Elizabeth Macpail, Blythswood’s new area fundraising manager for the North of Scotland. Harvest Supper “with a few of our favourite things” – bring along something unusual or with a story. Fountain Road Hall – Sing with St Andrew’s Choir. Kincardine Church, Ardgay – Songs of Praise for 125th Anniversary. Rev. Susan Brown speaking on her role as Chaplain to the Queen. Local Scenes with Shirley Sutherland. Bible Study with Rev. Kenny Macdonald. “Mary’s Meals” with Jim Norton. 7 pm AGM followed at 7.30 pm by Jackie Allan on Glass Painting. A very enjoyable evening spent with our speaker Esme Duncan, former Convenor of the Guild and her dog. Esme gave an excellent talk on her year as Convenor travelling throughout Scotland and shared with us some of the difficulties she had encountered due to the weather but how God had always kept her safe in her travels. Quiz - The quiz had been complied by Allan & Anne Barclay but unfortunately they were unable to be there on the evening and Carol Mason acted as quiz master. A fun evening was enjoyed by all. Quiz - How well do you know your Hymns? The Sutherland Presbyterial Guild will be holding a meeting in Fountain Road Church Hall. On Saturday 5th February, the Guild from St Andrew's Church paid their annual visit to Oversteps Eventide Home in Dornoch. As always it was a very happy time, enjoyed by the Guild and the residents. The afternoon began with prayer lead by the Rev John Sterrett, the hymn "Immortal, invisible God only wise" was followed by a Bible Reading from 1 John ch 4. The programme moved on to a solo "The Dark Island" from Jean Ann Ross and some piano music from Maggie McQuillan. By this time the residents were in fine form and humming along to the music. 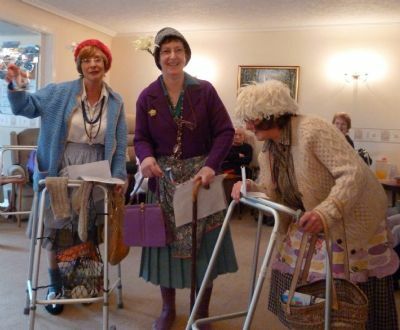 Suddenly there came into the room a group of would be residents with walking sticks, zimmers and the most awful fashion display seen in a long time. Their clothes would not have looked out of place in a charity shop! They got themselves together in a group and sang Julie Andrew's latest version of "These are a few of my favourite things." about zimmers, hip replacements, false teeth..." It was very entertaining. Wendy Flood, Catherine Macleod and Isobel Murray really looked as though they were just a pace away from residential care. It was good fun and much enjoyed. Jean Ann had everyone singing along to a Gaelic song after that and Anne Barclay recited a Robert Frost poem about an old sourdough in the wilds of Canada. The afternoon was rounded off with some community singing, followed by Psalm 46, a sung blessing and closing prayer. The Guild provided the scones and cakes for afternoon tea and then it was time to catch up with old friends for a chat before leaving for home. The AGM was held on the 28 March at 7 pm followed at 7.30 pm by speakers Andy Fothergill and Martin Rogers, MAF ( Mission Aviation Fellowship). We welcome back Mahairi Campbell as our speaker for the evening. World Day of Prayer was held in Fountain Road Church Hall on Friday 4 March. Invitation from Golspie Free Church to join with them for the evening. Speaker - John McMurray, Dornoch Firth Group. Christmas evening of Lessons and Carols. Members of the Guild took the morning service during Guild Week. Most members of the Guild participate in readings and prayers. The service is based on the Guild theme and projects. Invitation from Dornoch Guild to join them at the West Church Hall, Dornoch. Each year we hold a fun quiz. Members of church organisations are encouraged to put a team together and compete for the Quiz Trophy. The opening meeting took the form of a “A Harvest Supper”, and this was followed by a very interesting talk and slide show by Morag Sutherland on Talbot House, Belgium. We would like to thank everyone for their support and an open invitation is extended to anyone who wishes to join us at our meetings, transport can be arranged if required.